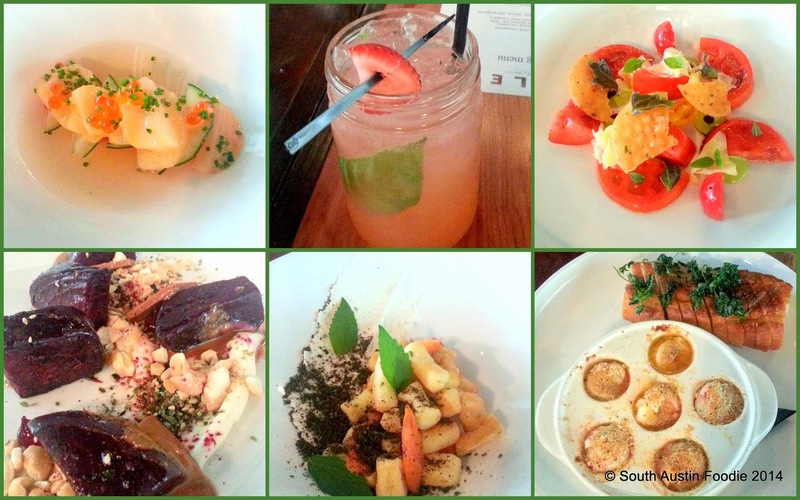 -- Mettle has a lovely new summer menu; they recently had a media tasting which I attended. The items from Chef Andrew Francisco that we tasted are: (top row) Scallop Crudo with watermelon, cucumbers, tomato water, salmon roe; Strawberry Basil Press; Tomato Salad with cheddar, balsamic and jalapeno puree; (bottom row) Grilled Beets with white chocolate, cashews, mascarpone, seaweed; Parisenne Gnocchi with grilled carrots, chevre, black sesame; Shrimp Gratin with Thai-infused flavors and Easy Tiger bread. -- Hotel San Jose is partnering with Fresa's, by bringing in some of their prepared foods (salsa, guac, quesadillas, grilled Brussels, chicken skewers) for patrons. -- The Austin Chronicle has announced that longtime food editor Virginia Wood is stepping down; Brandon Watson takes the reins. -- Chavez is now open for Sunday brunch, 10:30 am - 2:30 pm, $32/adults, $12/kids with $2 mimosas and aguas frescas. -- Walton's Fancy + Staple is teaming up with Dolce Neve Gelato to make ice cream (well, gelato!) sandwiches! -- Every Monday at Little Barrel and Brown is now Country Picnic Day, with a $25 all you can eat buffet including items like fried chicken, pulled pork and other country favorites. 6 pm and onward. $2 Lone Stars. -- Tickets for the 5th Annual Texas Monthly BBQ Fest (September 14th) go on sale on July 29th. Guaranteed to sell out! 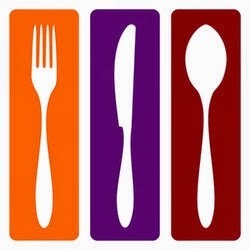 -- Eat Out for Good, August 3 - 13; a number of local restaurants will participating with special menu items, and donating 10% to a charitable organization of their choice. Restaurants and their charities are listed on the website. -- Swift's Attic is hosting an Alaska Seafood dinner, August 3rd, 6 pm and 8 pm seatings, $50/person with a suggested $25 donation to benefit Operation Turkey, which provides Thanksgiving meals to those in need. -- August 6th, 5 - 10 pm, The Hightower is hosting the kickoff of the Austin ColorCancer Network; a $5 donation gets you a flight of local beers. -- Pay it Forward for Daniel Curtis is August 7th at the AT+T Conference Center; tickets $75-$125, benefiting the Lone Star Paralysis Foundation. 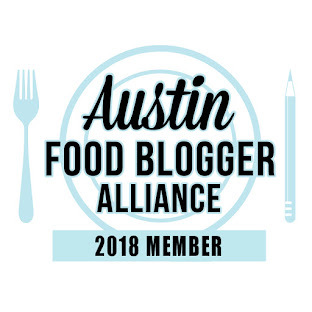 -- Wine and Dine with David Bull, August 13th, $175/person, benefiting the Austin Food and Wine Alliance Culinary Grant Program; tickets here. -- Hotel San Jose will feature Reggae Night on August 17th, 3:30 - 6:30 pm. -- Fun Fun Fun Fest is now taking food vendor applications. 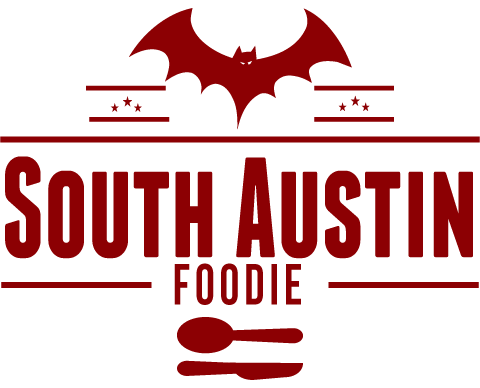 -- This spring, Austin American-Statesman launched their #Austin360Eats hashtag, for anyone to tag their social media pictures of meals out on the town. This past week, they've added #Austin360Cooks for all those creating home-cooked meals! So if you're posting on Instagram and Twitter, be sure to appropriately tag your photos. 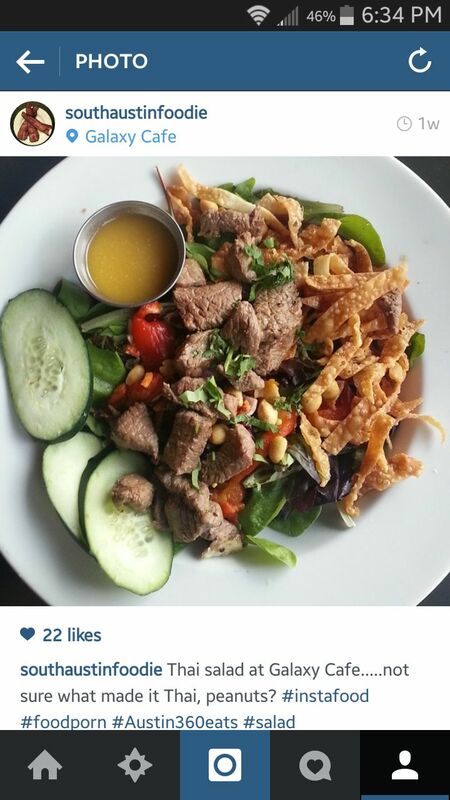 Besides, you never know.... you could end up with #photooftheweek like I did this past week for my Instagram photo of a salad at Galaxy Cafe recently! Here's the Statesman's link.